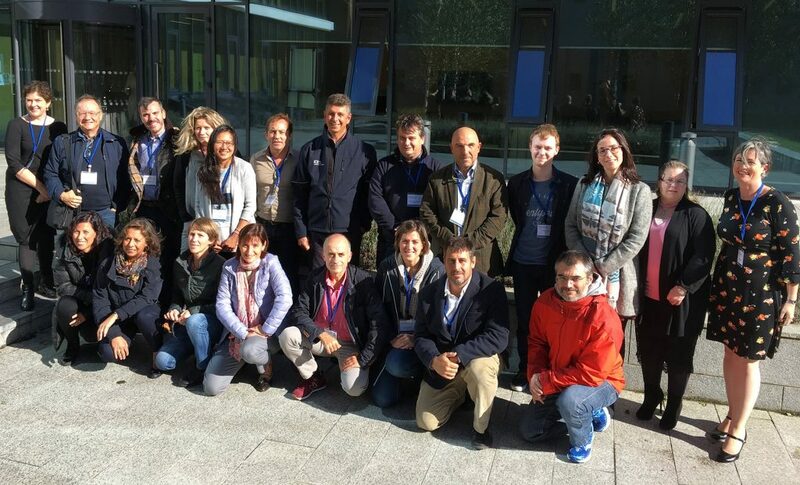 Today in DCU we welcome partners on the Interreg project MONITOOL: New tools for monitoring the chemical status in transitional and coastal waters under the Water Framework Directive. This project is led by Dr Blanaid White, DCU Water Institute and will run for 3 years. The participation of partners covering the Atlantic region from Canary Islands to the Scottish Highlands & Islands guarantees the extension of the research (more than regional) and implementation of the generated knowledge in the Atlantic Area. Moreover, this project will provide data for Mediterranean and North Sea, adding European consistency to the generated knowledge. Thus the transnational cooperation is a must to guarantee that all the commonalities and differences in regions are properly considered and integrated. The search for coming solutions goes beyond the mere addition of results independently achievable. Ismael Morán-Garcia, the Deputy Director of Interreg Atlantic Area, who addressed Monitool this morning. Ismael stressed that we (Monitool project) are ambassadors for Europe, for science, and that our work will impact on the quality of life for citizens across Europe.